On the other hand, you may be thinking about retirement in the coming years. Are you planning to leave eventually? Or stick around? Let’s cover the who, what, when and why’s. Unless you are some sort of zen-guru, it can be hard to see ourselves as a good candidate for potentially downsizing. This is probably related to how we view ourselves as we age, and as our budgets change. 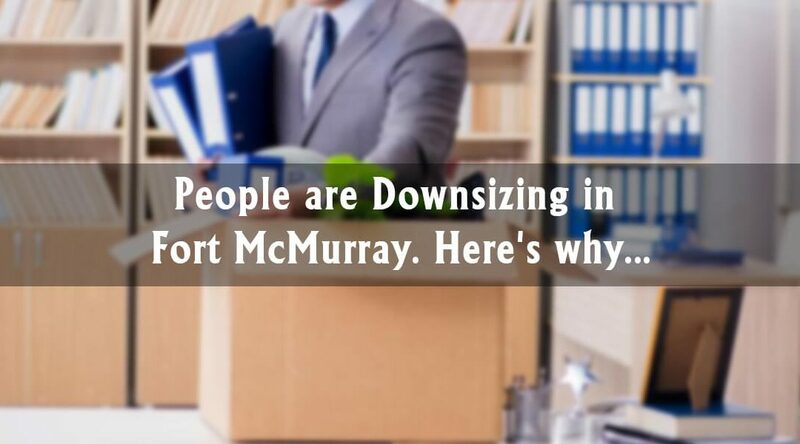 As explained in this recent Globe and Mail article, downsizing, can mean different things to different people, and your choice of what to downsize to, is really personal. It can be heavily influenced by recent market conditions. The study found significant regional differences in attitudes, with the hotter markets of Ontario and British Columbia at odds with the softer market in Alberta. So you see, there are lots of different options. The key to achieving “downsizing Valhalla1I made this up. Learn about Valhalla here[/efn_note”, is to match a home to your current (not past) budget and lifestyle. We find that people’s urges to downsize can happen at any age! That might sound strange, I think because we have an image of downsizing as something that retirees do as they leave middle age behind them. But the truth is, that we often help clients downsizing in their 20’s, 30’s, 40’s 50’s and of course in their 60’s. The thing that all of these people have in common, is that either their lifestyle, mindset or budget is changing. The only thing that’s different this time, is that the home they will eventually move into to will be smaller/cheaper as opposed to larger/more expensive. There are suitable properties all throughout Fort McMurray for a person in your situation, however the specific homes to look at will be highly dependent on what makes you, you. For example, if you value peace (me too), we know/love the peaceful spots. If it’s amenities you want, we’ll suggest well-priced listings in safe areas, right next to the stores/restaurants you desire. Our specialist buyer’s agents are experienced in guiding people through this process. They are kind, understanding, and can help take your stress away through being super organized and informative. This doesn’t have to be sad at all: It can be an exciting journey you’ll all go on together, with the destination being your perfect home. Interesting Article. What Can I Do Now? In the back of your mind, you might be thinking about your current home’s value. That’s a natural thought, and a smart one. In fact, that’s where we should start; the market has changed so it’s important to have a really updated, accurate analysis in hand, so we can squeeze out every hard-earned penny for you. After the listing presentation, a separate consultation will take place (at a time that’s convenient for you) to meet with your very own buyer’s agent. This is an exciting planning meeting! If you choose to hire us, our specialist listing agents will work hard to sell your current home for top dollar, through world-class marketing. They’ll help you with anything from decluttering, to home staging. They’ll earn your trust at the start, then take care of your needs, because they love what they do. You’ll be sure to downsize successfully, if indeed, that is the right choice for you. Our team’s job at this early stage, is simply to provide you with the highest quality information, so you can make the best decisions for you and your family. Thanks for reading, and please feel free to contact The A-Team at any time!